Johns Hopkins University’s Marc Kamionkowski is a winner of the 2015 Dannie Heineman Prize for Astrophysics, one of the top prizes in the field, the American Astronomical Society (AAS) and the American Institute of Physics (AIP) announced today. 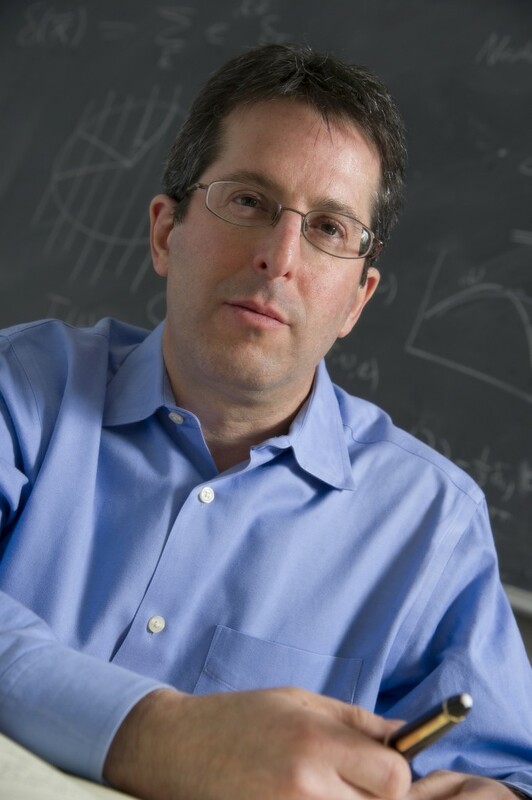 The honor, which is awarded annually to outstanding mid-career scientists, carries a cash prize of $10,000 that will be split between Kamionkowski and his co-recipient, David Spergel of Princeton University. – Photo by Jay VanRensselaer/Homewood Photography. The two researchers are receiving the prize “for their outstanding contributions to the investigation of the fluctuations of the cosmic microwave background, which have led to major breakthroughs in our understanding of the universe,” according to the selection committee. Kamionkowski, a professor in the Department of Physics and Astronomy within Johns Hopkins’ Krieger School of Arts and Sciences, is a theoretical physicist who specializes in cosmology and particle physics. In this role, he studies data collected from telescopes and other instruments to suggest a history of the universe that conforms to the laws of physics. His work has often set the stage for successful experimental research conducted by other scientists. “Marc Kamionkowski’s groundbreaking theoretical work on cosmic background radiation has helped drive experimental progress in the field, work that has forever changed how we view the universe,” said Fred Dylla, AIP executive director and CEO. “Marc and David have taught us how to read the subtle bumps and swirls in our exquisite image of the early universe to reveal what happened in the moments of creation,” said David J. Helfand, who is president of Quest University Canada and a past president of AAS. Kamionkowski received his Ph.D. from the University of Chicago in 1991 and did his postdoctoral work at the Institute for Advanced Study in Princeton, N.J. He then worked as an assistant professor at Columbia University before moving to Caltech in 1999. In 2011, he joined the faculty at Johns Hopkins. He has received numerous awards for his work, including the E.O. Lawrence Award for Physics in 2006, and he was named a Simons Foundation Investigator in 2014. Later, Kamionkowski studied the polarization of the cosmic microwave background, again spurring experimentalists to measure this phenomenon. His work has advanced the field of precision cosmology, which in recent years has provided data on the age, shape and composition of the universe. His latest honor, the Heineman Prize is named after Dannie N. Heineman, an engineer, business executive and philanthropic sponsor of the sciences. This prize was established in 1979 by the Heineman Foundation for Research, Education, Charitable and Scientific Purposes Inc.
Kamionkowski is the third consecutive Heineman Prize winner with a connection to Johns Hopkins. The 2013 winner, Rachel Somerville, held a joint appointment at Johns Hopkins and the Space Telescope Science Institute before joining Rutgers in 2011, and Piero Madau, the 2014 recipient who is now at UC Santa Cruz, held appointments at Johns Hopkins and Space Telescope from 1989 to 1999. Kamionkowski is the first Johns Hopkins professor to receive the Heineman Prize since 1981, when the honor went to Riccardo Giacconi, now a University Professor and Nobel Laureate at Johns Hopkins. A digital photo of Marc Kamionkowski is available; contact Phil Sneiderman.